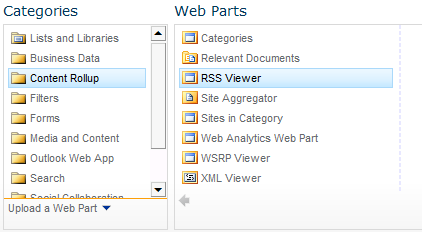 The RSS Viewer web part is an Out of the Box SharePoint web part that can really add to your site by allowing you to integrate dynamic content directly on your pages from other sites in your environment (requires either anonymous or kerberos authentication) or from sites all over the web. You can add it like any other web part (Located under Content Rollup) and get it going quickly by setting the Feed URL property. There are feeds all over the web and getting the URL for these is generally straight forward (click the RSS icon/button and then copy the URL) and I’ll let you figure that part out. If you’re simply grabbing a news feed from Yahoo! or someplace, then you’re probably done. There’s a lot that can be done with the formatting of the feed’s content using XSLT, but that’s out of scope for this particular article. There are several parts to this URL beyond the base of http://www.sec.gov/cgi-bin/browse=edgar (They begin after the ? mark and are separated by the & and take the format of name=value). The one I’m most interested in is the CIK (Central Index Key). This is what tells the feed to return Google’s filings. (As a bonus, for publicly traded companies you can replace that 10 digit number with their Ticker Symbol: GOOG for Google). Great! Now you can generate a feed for multiple companies’ SEC filings using multiple RSS Viewer web parts. 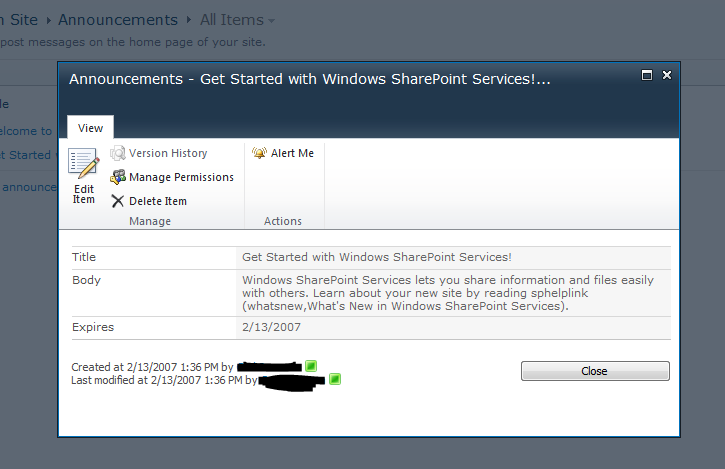 But what if you only want one web part that can switch which company is being displayed? That’s exactly where Feed Parameters come in. 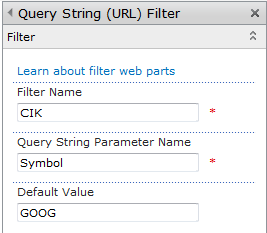 Like many web parts, the RSS Viewer web part allows connections to other parts including the filter web parts. Most any of the Filter parts will work depending on what you’re trying to accomplish. 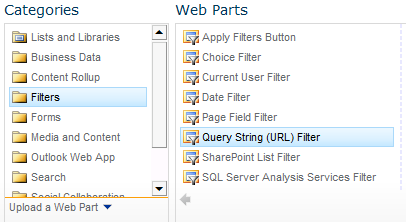 An obvious example would be to use the SharePoint List Filter web part to pull company ticker symbols in from another SharePoint list and use a drop down to select which filings to view. My preference, however, is to use a Query String (URL) Filter part so that I can hook it to multiple parts to create a dynamic page that can be linked as if it were many pages. I’ll show you how to hook that up, but the basic concept is the same for any of the parts – Filter some value and send it to the RSS Viewer. It’s also a good idea to also give your filter web part a better name than the default since this is the name you’ll see when setting up the connection. This is just the Title property in the Appearance section. I’ve set mine to Symbol Filter. Press OK to save your changes. If you add ?Symbol=MSFT to the end of your page’s URL (If your page is http://app/site/SitePages/Home.aspx then the filtered url would be http://app/site/SitePages/Home.aspx?Symbol=MSFT) then the RSS Viewer should now be showing Microsoft’s latest SEC Filings. Just kidding! There’s one little gotcha that’s very easy to fix. This quickly gives us a lot of flexibility. This works great for all sorts of feeds allowing you to filter or customize your feeds before they ever get to you; and all on the fly. Add an RSS Viewer web part and set the Feed URL to the address of the feed you want to pull. Remove the dynamic parameter you want to set. The RSS Viewer part can be a very powerful part of your page allowing dynamic content without any custom code.